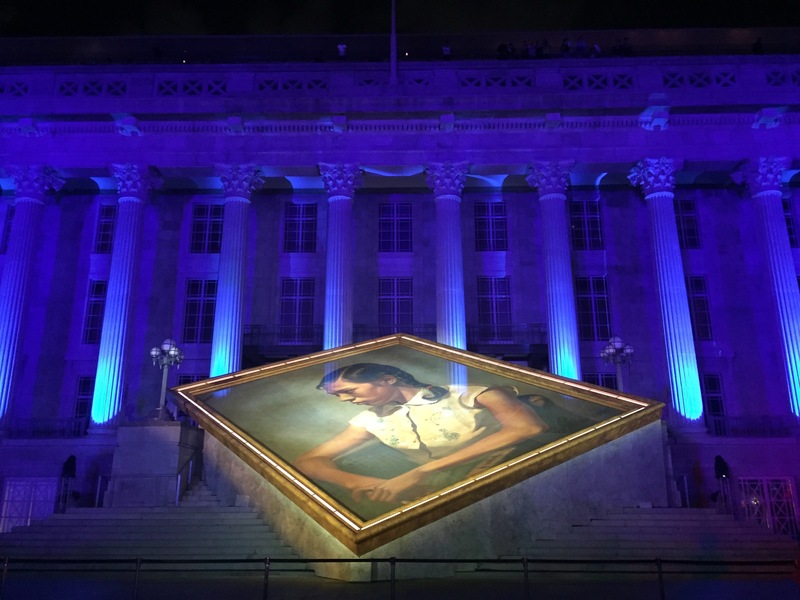 SINGAPORE- From 24th November to 6th December 2015, the National Gallery Singapore celebrates its official opening. It is free admission for everyone, and visitors are advised to reserve your tickets well in advanced (click here). The gallery is situated in two national monuments: the City Hall and Supreme Court. Spanning with a total of six levels above ground, the National Gallery Singapore brings you artworks from South East Asia which is located in the Supreme Court wing, and in the City Hall wing, visitors will get the chance to appreciate the artworks of artists in Singapore, including Chinese calligraphy, Chinese paintings, watercolours, bronze artefacts, oil on canvas, etc. Visitors will need four to five hours for this tour. There are restaurants located at the sixth level of City Hall wing, temporary food stalls at the Padang (opposite of the gallery), or food court at Raffles City (three minutes walk from the gallery). For an interactive map and to navigate, smartphones users are advised to download the app. Printed copies are also available at the ticket counter (located at the basement) for your collection. Photo of the Padang Atrium; on the upper link bridge between City Hall wing and Supreme Court wing. Photo of space in the gallery, and an overwhelmingly impressive Chinese bowls stacked. At level 4 of City Hall wing, visitors can enjoy the paintings by Chua Ek Kay (蔡逸溪) – a Singaporean Artist, born Guangdong Province, China. His artworks show incredible brushstrokes and a very well-balanced weight on the paper. Wu Guan Zhong’s (吴冠中) artworks are also located on level 4 of City Hall wing. The gallery has a good collection of Wu. Wu was one of the most significant artists in the 20th Century, China. The recommended artworks that are worth an extra minute of appreciation: Lotus in Summer, Two Swallows and, The Great Wall (of China), as shown in the picture above. Outside the Gallery, a ten minutes special performance which starts at 8pm, 9pm and 10pm. Video Projection Director: Milosh Luczynski. An original commission by National Gallery Singapore. And visitors will find many family fun events at the Art Carnival.